Mixed doubles adult and senior teams who have qualified by winning their local leagues will be competing over three days at Jerry Cline Tennis Center in the USTA Southwest Mixed (Adult/Senior) Doubles League Championships. Held in mid-September teams and with teams from areas like Phoenix, Tucson, Albuquerque, El Paso, Las Cruces, and other cities in the USTA Southwest, these co-ed teams will put their volleying skills and on-court chemistry to the test to try and earn the automatic qualifying bid for the USTA National Mixed Adult and Senior League Championships. More tournament information and details as well as schedule information, player party information and other details on the event will be coming soon so please check back to this page frequently for updates. 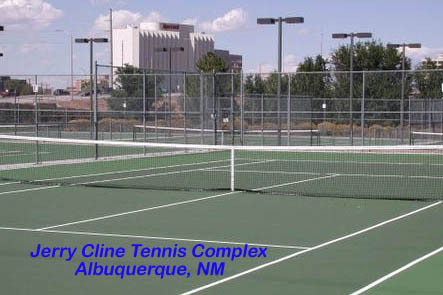 The main host site for this year’s 2012 USTA Southwest Mixed League Section Championships will be Jerry Cline Tennis Center. The 18-court lighted facility is Albuquerque's largest public tennis center, and has been home to several of the Section's premier events, including the Southwest Junior Closed, Jr. Team Tennis Section Championships and several other league championship events in the past. It is also the yearly host of the New Mexico State High School championships. The phone number for the complex is (505) 848-1831. 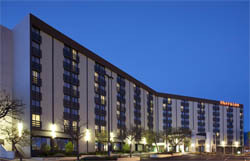 The host hotel for the event is the Sheraton Albuquerque Uptown. The hotel has blocked off rooms for Mixed League Section Championships players at a stellar rate of $99/night plus taxes. Players should reserve directly with the hotel and identify themselves as part of the USTA Mixed League Section Championships. Sheraton Albuquerque is just steps away from the best the city has to offer, including the Uptown Shopping and Dining District, Nob Hill, a part of Route 66, Arroyo del Orso golf course, and ABQ Uptown, which features your favorite restaurants, upscale shopping, entertainment and more. Please call (505) 881-0000 or visit this LINK to make reservations. Just minutes away, you'll find yourself at exciting Albuquerque, NM attractions like historic Old Town, downtown Albuquerque, the University of New Mexico, and the Balloon Fiesta Park. Our hotel is in the center of all that Albuquerque has to offer. LAST DAY FOR HOTEL DISCOUNTED RATE IS AUGUST 22!!! Our overflow hotel is the Homewood Suites located at 7101 Arvade Avenue NE. For reservations at original $99 rate, please call (505) 881-7300 and ask for Maysa Dais. Stay up to date with the latest event details by Following us on Facebook and Twitter. For videos from events and player interviews, also check us out on YouTube.